Taman Perdamaian or the Peace Park is located at Jl. Angsana BSD, is a park that has been revitalized in 2014. 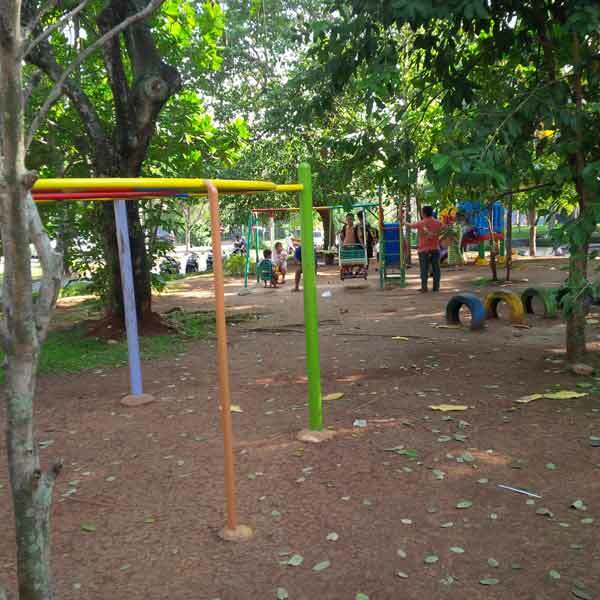 Before revitalized, there were not so many people aware about the existence of this park, but the park is transformed into a quite important park for the resident in Tangerang Selatan, especially who resides in the area of BSD. The park is designated as a city park for recreation and the arts as well as a place for people to channel their talents and their art. 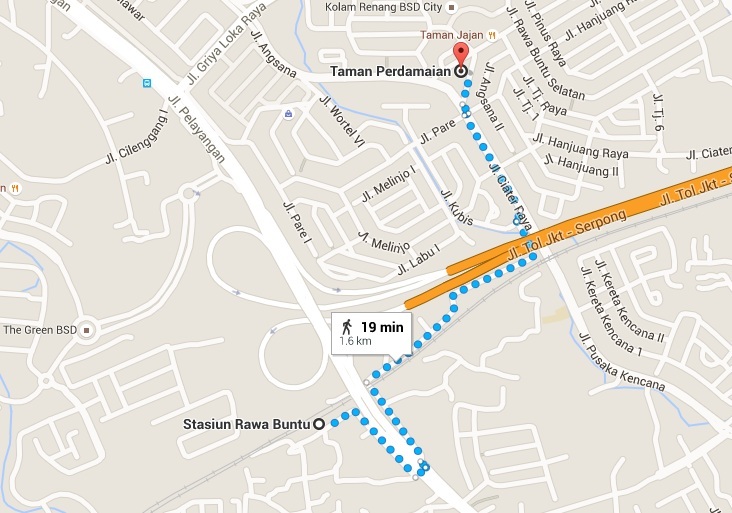 In this park there is also a monument which marks as the first stone for the construction of Bumi Serpong Damai (BSD). There is a monument that holds the signature number of the important figures in the new order era such as Prof. Dr. Ing. B. J. Habibie. There is a poem by Taufiq Ismail which can be seen at the top. 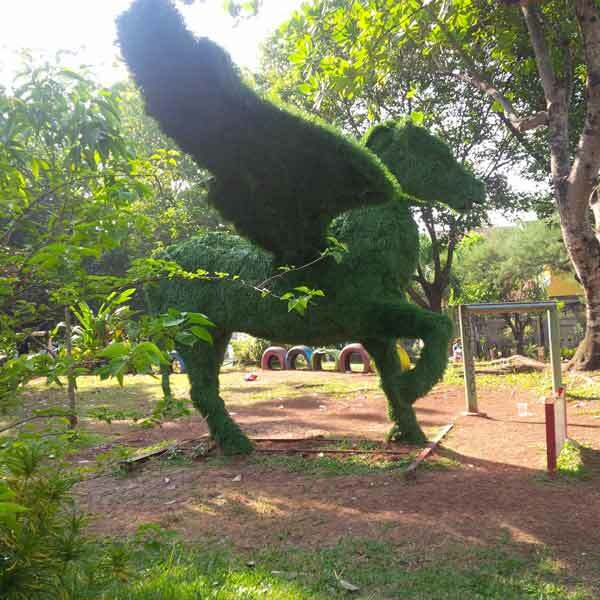 Woww patung rumput unicorn nya keren, mas 🙂 Tamannya unik ya, mas..
thank you for your information, very nice..
so this is another park of BSD beside Taman/Hutan Kota I and Taman /Huta Kota II? saya suka jalan2 ke sini kalau sore hari sama2 anak. biasanya jam 5 sore ramenya.